Have you had time to read and digest all 206 pages of the draft Notice of Proposed Rulemaking (NPRM) for sUAS operations at night or over people, recently released? It can be rough to get through. Don’t worry, we have you covered. Most will assume the content focuses on two primary topics – operations conducted during night time hours and operations over people. That is true – most of it is. But there are a handful of other changes, clarifications, and expansions more relevant to law enforcement agencies (LEAs). To be frank, the proposed rule will likely not be finalized for quite some time – possibly years. The FAA made it crystal clear (not only within this proposal but the Safe and Secure ANPRM as well), that these documents will be dependent on the FAA’s plan to “finalize its policy concerning remote identification of small UAS…” That is a tremendous statement. Federal Agencies and law enforcement, on all levels, stated their concern of the ability (or lack thereof), to identify who is flying a sUAS where it is not supposed to be – like over a crowded county fair I observed in my home town. The technology gap led to blocking the advancement of any operational rule expansion by the FAA. That block will remain in place until a rule, standard, or “other activities that other federal agencies may propose”¹ is developed and deployed. Need more info about the Safe and Secure ANPRM? 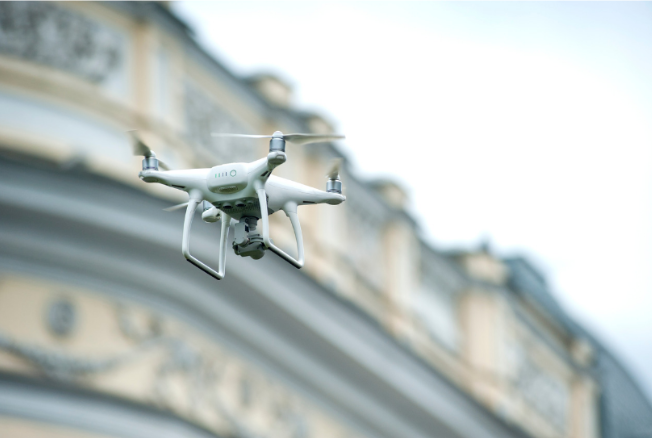 Head over to PropelUAS.com and read our recent blog “Law Enforcement Agencies – Embrace Your Role in UAS Regulations." Taking a closer look at the document, I noticed two key proposed changes that I believe will help law enforcement agencies. First, the current Part 107 initial testing requirement for certification might remain while the biannual recurrent testing requirement may be removed. The proposal contains language that will move that requirement over to a more training-based system where a pilot would either participate in, or complete on a computer, recurrent training. The FAA was quick to point out their recognition that going to a testing center and paying $150 every two years can be time and cost prohibitive. Additionally, the FAA also recognized the value in what training can provide versus a test. Primarily, because the UAS industry evolves so quickly that it out-paces the regulators’ ability to keep up. Training can be quickly updated to ebb and flow with the ever-evolving technology advancements and delivered in near-real time via online vendors. Second, is a section beginning on page 21, titled “Miscellaneous Changes to Part 107.” This is where I believe one of the largest impacts to law enforcement agencies is discussed. As currently written, Part 107 states that the remote pilot must present their certificate “upon the request of the Administrator.”² This proposed rule will expand the list to include not only the FAA Administrator but now “authorized representative of the National Transportation Safety Board (NTSB), any federal, state, or local law enforcement officer; and any authorized representative of the Transportation Security Administration (TSA).”³ It also states the remote pilot will be required to not only provide their FAA certificate, but their identification as well (defined as one of the types of personal identification a pilot would use to establish their identity at an FAA approved testing center). Previously, savvy sUAS operators would often argue a perceived regulatory loop-hole when asked for identification by local law enforcement. The argument being the federal regulation did not stipulate the need for them to produce their Part 107 license to an entity other than upon the request of the Administrator. Most often this type of argument ended poorly. Updating the language in this manner eliminates one of those loop-holes that will make every day policing easier but contribute to the larger remote identification of sUAS activity as well. Wait! I haven’t said anything about night operations or over people operations. There is a reason for that. The FAA’s approach to UAS integration, since the beginning of normalized sUAS operations, is rooted in. Simply put – here is the requirement: figure out a way to comply and when you do, let’s talk. This is working wonders for an industry where the concept to production life cycle can be as short as six months. So, yes, soon night operations and the ability to fly over people will be allowed. Stay tuned for our March blog in which we’ll dive into night operations and operations over people in greater detail! “2120-AK85_NPRM_Operations_of_Small_UAS_Over_People.Pdf,” accessed January 28, 2019, https://www.faa.gov/uas/programs_partnerships/DOT_initiatives/media/2120-AK85_NPRM_Operations_of_Small_UAS_Over_People.pdf.